Hamish McLachlan is the front man for Channel Seven’s Sunday’s morning AFL footy fix AFL Game Day. Hamish delivers a balance of analysis and humour among the sport’s past and present greats. Hamish began commentating horse sports and polo. As an international player and administrator he was able to commentate games locally which led to big tournaments throughout Europe and Asia. Hamish knew that if he was to get a chance in the Australian media he would have to develop his skills internationally. He spent three summers in Europe mastering his craft with the microphone hosting events and calling matches. Returning to Australia in 2008 he got a break with Channel 7 hosting AFL Game Day. Following the success of AFL Game Day he began hosting the Spring Racing broadcast and calling Australian Open tennis on Channel Seven. In 2008 Hamish was poached by Triple M to host Spring Racing coverage where he would win an award and further his credentials. Hamish would then break into Channel Seven’s Saturday night and Sunday afternoon AFL broadcasts alongside the station’s greats. Hamish has had a wide variety of duties since returning to Australia. As the face of Seven’s AFL Grand Final week coverage his annual work at the pointy end of the season includes the ANZAC Day Special, live broadcasts from the MCG and The Season’s Best – a look back at the outgoing AFL season. 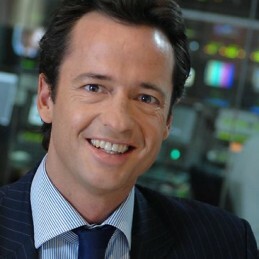 Hamish was carefully selected to anchor the broadcast and panel debate of high profile documentary Such is Life – The Troubled Times of Ben Cousins. Now the host of Australian Open Tennis for Channel Seven, Hamish is in high demand as a charming and witty master of ceremonies.